As innovators in the water and wastewater industries, Metropolitan has the knowledge, experience and capabilities of developing new technologies to create reliable products within the Municipal, Commercial and Residential sectors of the industries. Metropolitan introduces four products recently added to our Ion products line and an update to the Level Management System (LMS II). As 2014 progresses, Metropolitan hopes to adhere to its promise of Rising to the Next Level, releasing more innovative products and maintaining its vision of being a single source for quality pumps, control systems and ancillary equipment serving many water and wastewater industries. Metropolitan is proud to introduce the world’s first digital, piggyback sensor sump and sewage pump level control sensor, the Ion+. 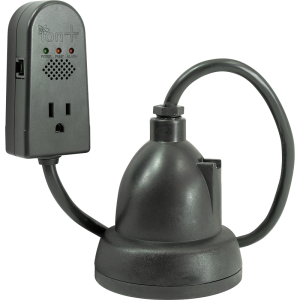 This unique control sensor with integrated alarms works like a standard Ion digital level control switch, while providing alarm notification through an audible buzzer, LED indicators, and dry alarm contact. The alarm notifications include pump fault, system fault, and high-level alarm. The dry contact output of the Ion+ allows the device to be connected to external alarm notification systems such as our Ion Gateway or MetroMail web-based remote monitoring systems. The Ion digital level control technology provides superior performance and reliability when compared to industry standard mechanical pump switches. With easy detection in the case of high water, this all in one digital sensor provides three colored lights located on the switch to indicate power, high water and many other functions. This first of its kind solid state sensing technology has no moving parts and starts and stops pump through the piggy back and pump power cord. The multipoint sealing mechanism supersedes single surface seals with no contact points with an inverter rating for use with most battery backup systems. The Ion+ is easy to install and can be used with a standard Ion StormPro pump. Designed specifically with the capability of operating two plug-in, single phase pumps simultaneously, Metropolitan recently developed the Ion Endeavor, a Duplexing Plug-In Pump Controller. The unit will attract users and designers of dual-pump systems for sewage, sump, bilge, effluent, condensation and similar drainage applications. This type of pump controller is ideal for many types of facilities, ranging from upscale residences to mid-size commercial buildings such as schools, bank-branches, university buildings and other applications which require simple straightforward control of two plug-in drainage pumps. The Ion Endeavor controller is perfectly matched with the Ion StormPro pump line, which includes pumps capable of flow-rates up to 150 GPM while operating through the Ion Endeavor. Truly revolutionary in the plug-in pumping marketplace, this is no ordinary pump controller. 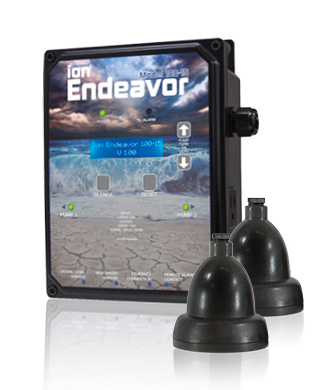 The Ion Endeavor comes complete with a user-friendly LCD display screen, which allows the user to manage the operational aspects of the pump system, without accessing the wet-well. The wet-well level set-point controls the lead pump on-level and can be adjusted from 2” to 72” in 0.5” increments. The Ion Endeavor automatically senses all critical operating information, including the ‘real-time’ water level, level-sensor functionality, pump operation or failures, operating time and the operating amps of the pumps. Using Metropolitan’s Ion Digital Level Sensors, the Ion Endeavor has the ability to sense the water level, while the sensors remain fixed. The display screen, combined with the LED status indicating lights, audible alarm and cutting-edge connectivity capabilities provides the user with unparalleled monitoring capabilities. The optional Ethernet module provides a web page showing system status and e-mail/text alarm notification The unit can be integrated with various types of external communication-devices such as Metropolitan’s MetroMail or Ion Gateway web-based remote monitoring systems. Metropolitan introduces a new way to continue using your original level control system without having to rely on the unreliable mechanical style floats. Introducing the Ion Converter, using the digital level information received from the revolutionary Ion Digital Level Sensors, will now produce dry contact outputs that mimic operation typical of level switches. By operating the Ion Converter and the Ion digital level sensors the significant problems caused by using unreliable mechanical style floats are now eliminated. Simply “make the switch” to the revolutionary Ion Digital Level Sensors without having to replace the original control panel. To further expand both the capability and diversity of the Ion product line, Metropolitan Industries is proud to announce the release of the Ion Gateway, the company’s newly developed wireless sensor network. 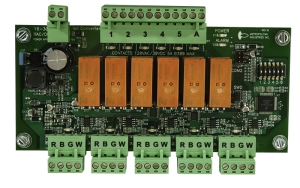 The Ion Gateway gives customers the ability to monitor incidents such as power loss, temperature, high water and more. Using both the cellular gateway link and wireless sensors, the Ion Gateway sends alarm notification direct to your e-mail address or SMS text account. Customers can now remotely monitor various aspects of their home with a low-cost solution. The Ion Gateway provides customers with advantages other monitoring systems simply cannot provide, specifically the ease of installation, price and its many monitoring capabilities. Once the information has been received by the gateway it is instantly sent to the iongateway.net server. This technology allows the server to respond immediately whether it be a customer’s basement flooding or an intrusion within the customer’s home. Now more than ever, Water and Wastewater Treatment Plants are relying on a dependable wet well level control. Metropolitan’s LMS II Level Management System is a pre-programmed, high performance wet well level controller that allows users to seamlessly alter pump options, transducer options and more, providing access to basic SCADA features at a cost-effective price. The LMS II is a menu-configurable, constant or variable speed, pump down level controller, allowing for the control of one to three pumps, with optional pre-programmed configurations for single/dual level transducers, 0-20 mA flow meter input, and a completely redundant float backup controller. Seal fails and thermal inputs are also available standard. The LMS II can be accessed remotely and controlled using a laptop or directly on the touch screen at a lift station. With either an existing internet connection or cell modem, and Metropolitan’s own MetroMail™ alarm dialing system, users can receive alarm notification via any SMS text or e-mail compatible device. The LMS II allows users to alter pump options, transducer options and more. 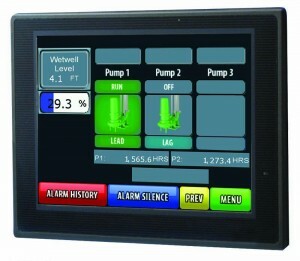 Each LMS II unit comes complete with integrated help screens, making the operation of your system easy and intuitive. The system eliminates the need for controls located within confined spaces. The remote access capability, has saved time for the treatment plant workers who before would have to go to every station before knowing what the problem was. Now it is all on the screen and available through various communication methods.